Reported estimates for the UFC 234 buyrate have been revealed. Dave Meltzer reported on MMAFighting.com that UFC 234 nabbed an estimated 175,000 pay-per-view buys. The UFC 234 prelims scored 1,339,000 viewers. In the past, a high prelim number would usually lead to a big PPV buyrate for the UFC. That isn’t necessarily the case anymore as ESPN is a juggernaut in comparison to FOX Sports 1. 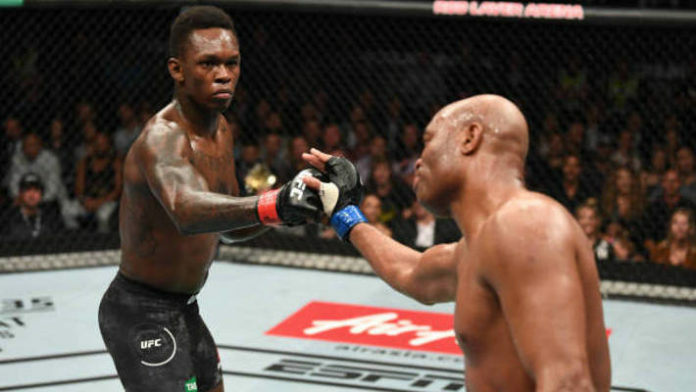 UFC 234’s main event featured a middleweight clash between Israel Adesanya and Anderson Silva. Adesanya won the bout via unanimous decision. The planned headliner was a middleweight title bout between champion Robert Whittaker and Kelvin Gastelum. Whittaker had to pull out due to a hernia in his abdomen. In the co-main event, Lando Vannata took on Marcos Rosa. The fight was initially set as the featured bout on the UFC Fight Pass portion of the prelims. Thanks to Whittaker’s injury, the bout took the co-headlining PPV spot. Vannata emerged victorious with a first-round submission. Earlier this week, it was revealed that Adesanya will take on Gastelum for the interim UFC middleweight gold. The bout will take place on April 13 at UFC 236. A venue and location have not been revealed for the card. Were you expecting a lower number for the UFC 234 PPV buys given the circumstances?